The iconic Kyla makes a legendary comeback in this tune, bringing us the smooth, nostalgic UK Funky House vocals that we love her for. The tune features raw vocals and lyrics from the acclaimed dancehall/bashment artist Popcaan. 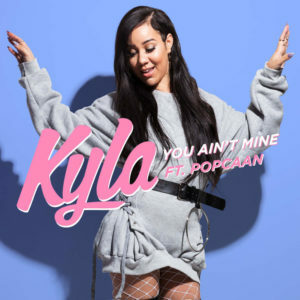 Kyla’s classic flair matched with the beat breakdowns during Popcaan’s verses, and the emulation of the island steel-drums in the melody make this song not only perfect to sing-a-long and dance too, but also a to let you ‘bruk-it-down’ and ‘whine’. A song for all types of party moods! Have a listen for yourself, just click the link below and enjoy!